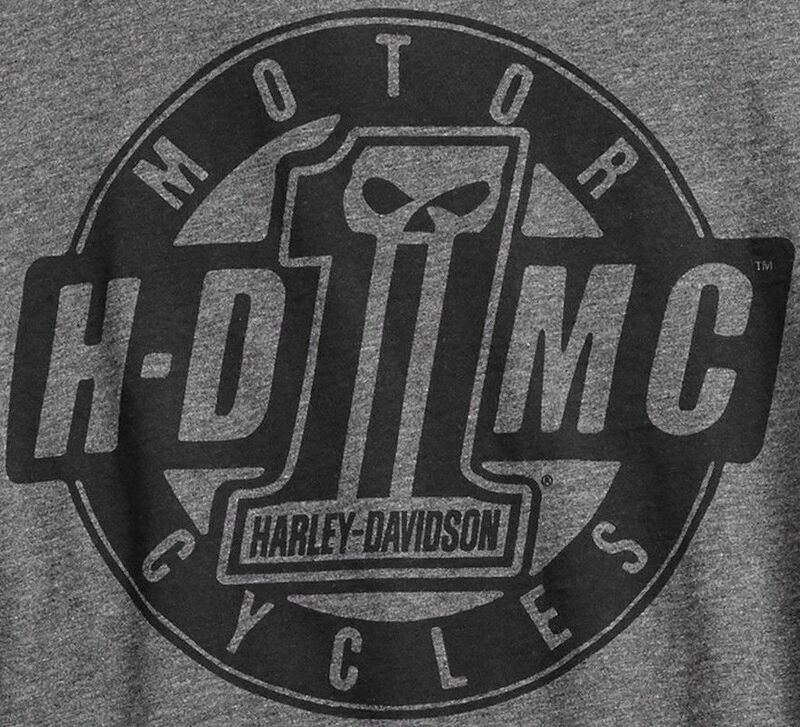 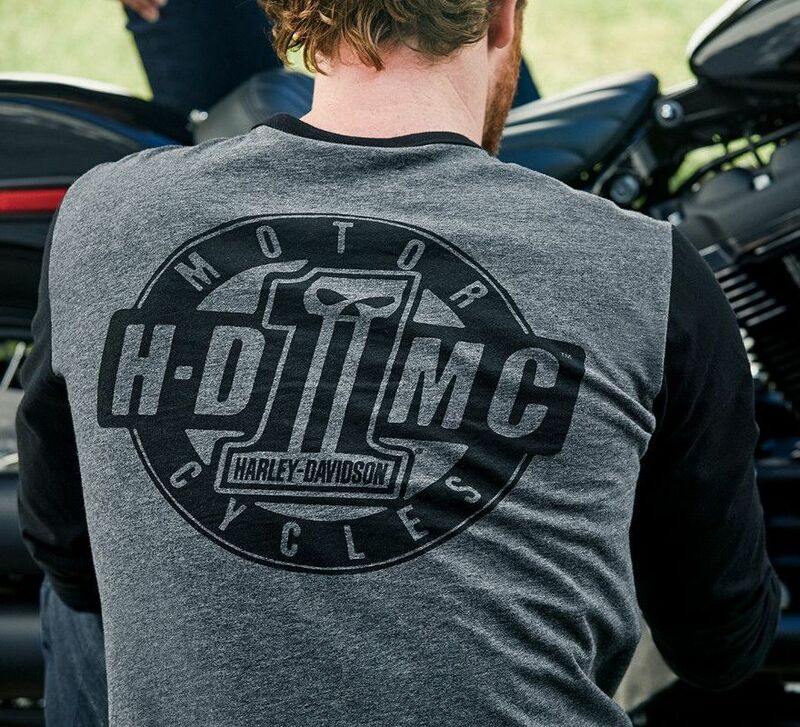 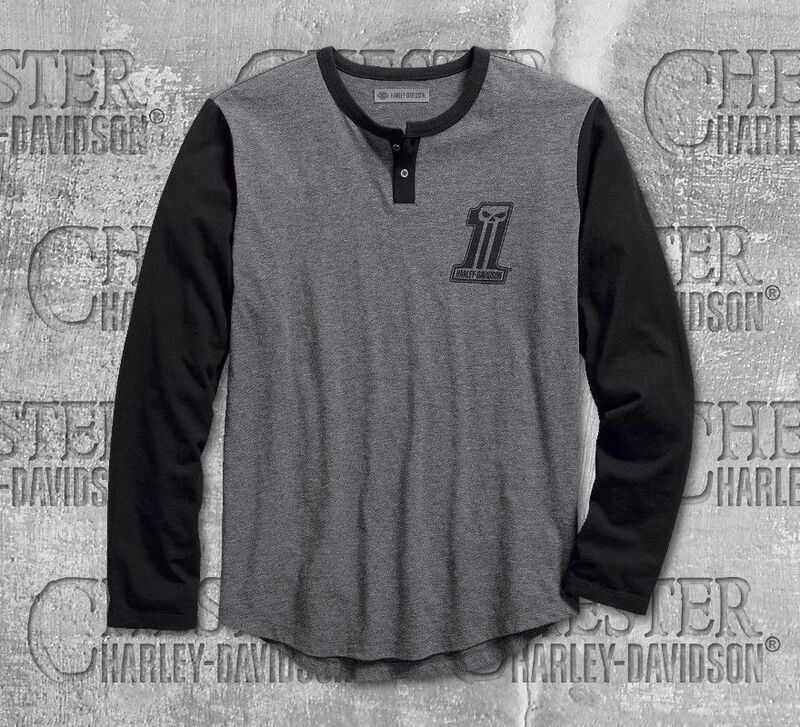 Harley-Davidson® Men's HDMC™ Slim Fit Henley Long Sleeve Tee is perfect for outside stroll during cold weather. 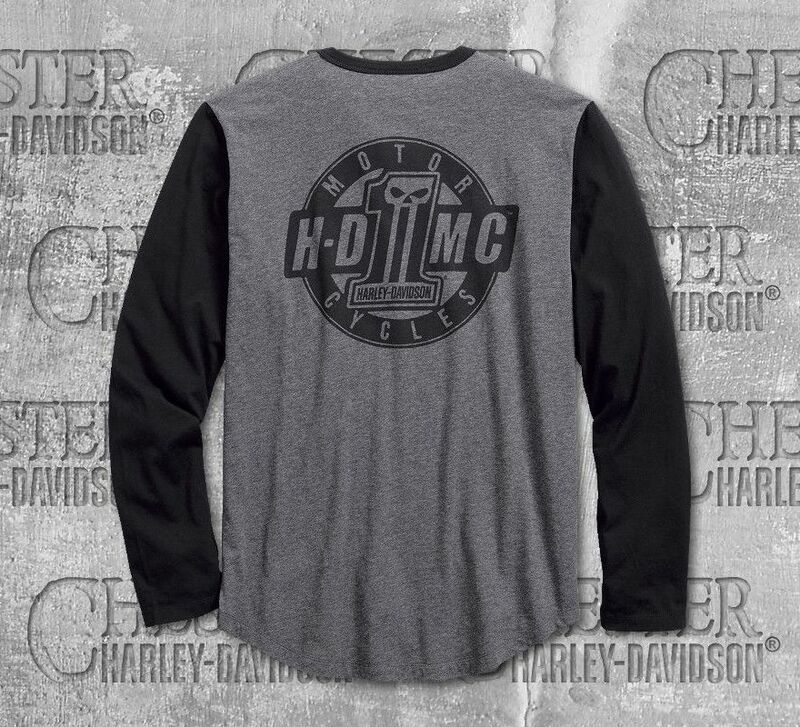 Graphic #1 Skull is printed on left chest, as well as on the backprint. 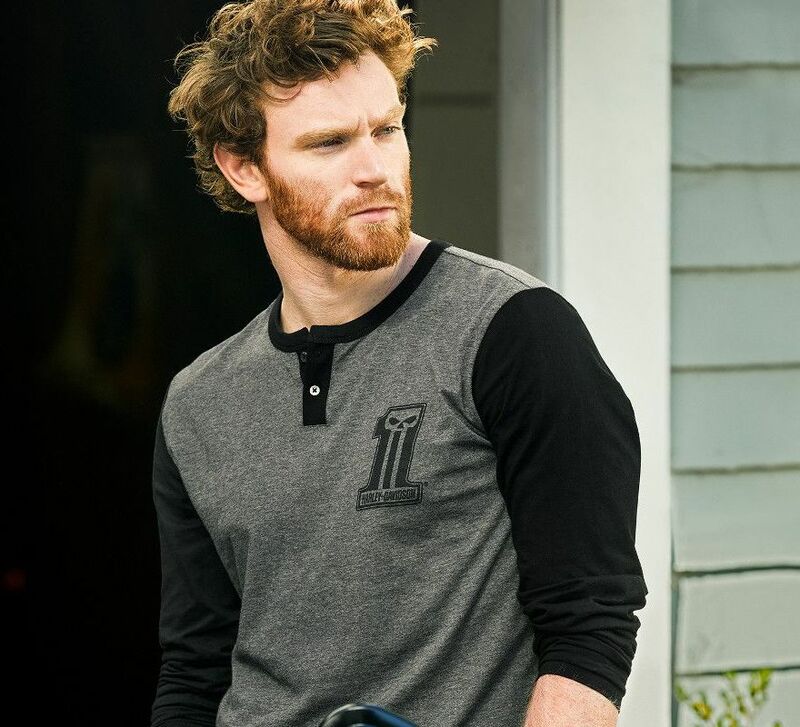 The slim fit is designed to fit closer to the body with a cut narrower through the chest, slimmer through the waist and hem, and is slightly shorter in length than our standard fit. 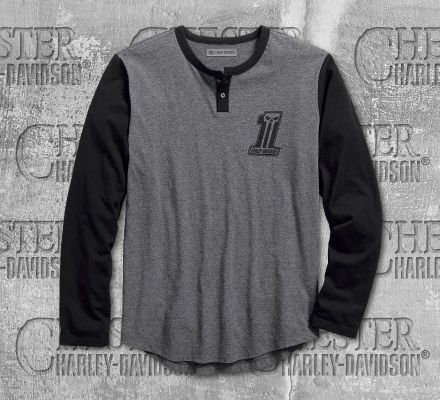 For a roomier fit, size up.